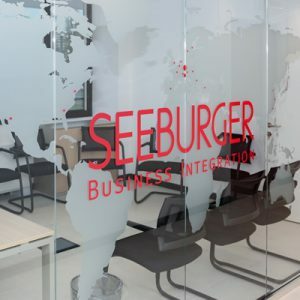 The SEEBURGER Italy “House Warming Event” took place in Milan, on April 12th. The representatives of 25 companies actively participated at our Opening Event. Andrea Carrero (VP Consulting, SEEBURGER) started the meeting by cutting the red ribbon following with a welcome speech. Marco Pister (Head of Sales, SEEBURGER), continued the panel with an interesting presentation concerning the Digital Change, as a proactive change. 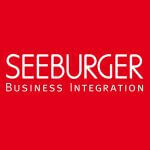 The event was focused around Digital Transformation and how SEEBURGER can support your company in this process. The Digital Change, which has broken the classic schemes forcing most companies to rethink and redesign their corporate identity in terms of leaner and more flexible structures, with cost reductions and the development of new services and solutions. The classic roles of producer, dealer and operator are becoming increasingly blurred. That is where SEEBURGER BIS platform comes into the picture: as a smart platform able to help companies from the manufacturing sector, and not only, to achieve the goal of flexibility, facilitating the processes of integration between people, machines, data and services, inside and outside the company. BIS becomes an exclusive central platform able to cover all aspects of integration (API, MFT, B2B). In terms of digital change, the Cloud is becoming one of the most important building blocks. The SEEBURGER Cloud solution thanks to its prerequisites of flexibility, speed and innovation, can perfectly respond to the logics dictated by a constantly evolving market. The presentation with the greatest interest was the “Fattura B2B in Italy and SEEBURGER E-Invoicing solutions” held by Enrico Rota (Operations Manager, SEEBURGER). The Italian Budget Law 2018 has imposed the obligation of electronic invoicing to all companies, in order to reduce tax evasion. 1st of January 2019 for all (companies, professionals and associations). Analyzing the “Clearance” and “Post Audit” models by territory, it has emerged that the Clearance in Italy, as for LATAM, is more complex. According to these deadlines, the B2B electronic invoices will have to transit in XML format on the SDI (Interchange System), the mandatory system required by PA (Public Administration). The morning ended with a delicious buffet lunch at a fine restaurant in the historic center of Milan, followed by an evocative guided tour of the timeless Vinciano masterpiece “The Last Supper” inside the Basilica of Santa Maria Delle Grazie. It was a successful day, thanks to a good mix of business updates, cultural ideas and wide networking. We thank all the participants and we are looking forward to entertain them again at our next events.